Interested in developing educational programs to attract visitors? We create special events to help grow your business. Educational programs not only increase revenue, brand recognition and brand loyalty, they draw visitors to your area for a healthier, more cohesive local economy. Educating Your Customer is Smart Business! craft workshops, open houses and tours, author events, and summer camps. Pam created nationally recognized events such as the Culinary Quadrathalon (biking, running, prepping, cooking and serving a mystery basket meal–long before Chopped! ), Culinary Weekends at the Inn at Essex, Growing Gourmet children’s cooking classes (the first in the country), the guest chef and cookbook author program, as well as various conferences. the Inn at Weathersfield, Peyton Place Restaurant, Turkey Hill Farm, and In the Kitchen with Bronwyn. She has also helped farms to develop and promote Community Supported Agriculture (CSA) programs. 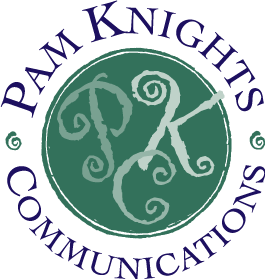 Put Pam’s experience to work for you! and grow your business through special events. Photos above are client related. L to r by: PKC, Kelly Fletcher Photography, and Ben Deflorio Photography.